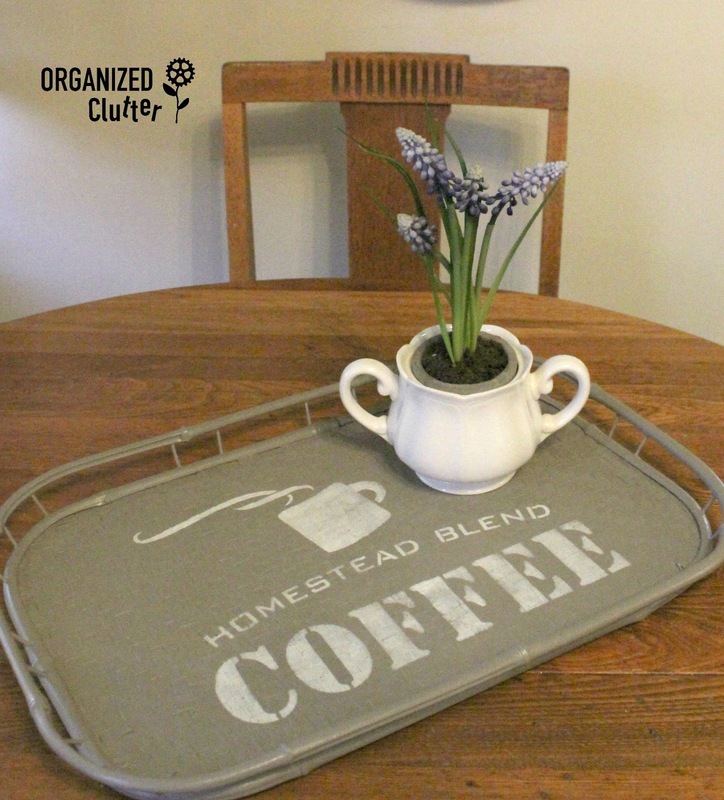 This primitive country wooden flag got a new look with Rustoleum Heirloom White Paint and *Old Sign Stencils Getaway Collection Stencils. 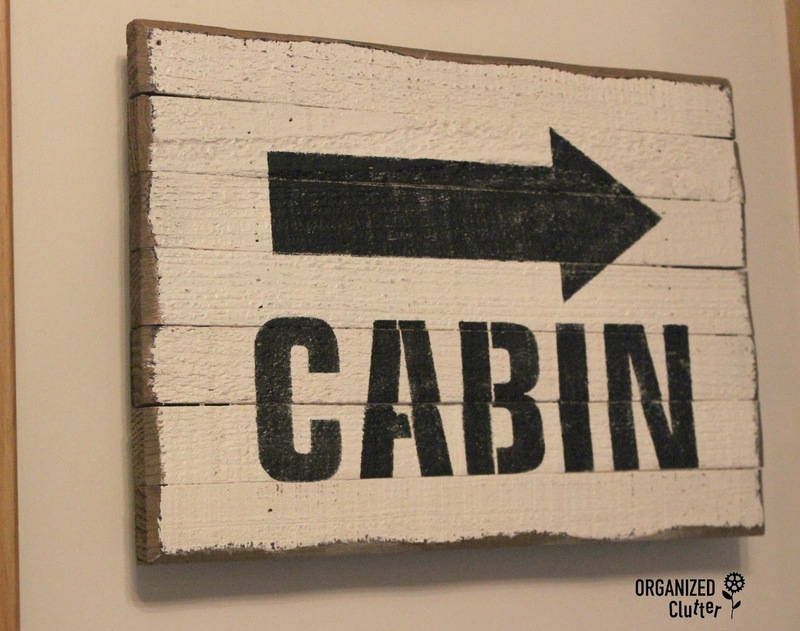 I stenciled on the arrow and "Cabin" letters with a bristle stencil brush 5/8" and black acrylic craft paint. I forgot the "before" photo of this red wooden lazy Susan from the thrift shop. 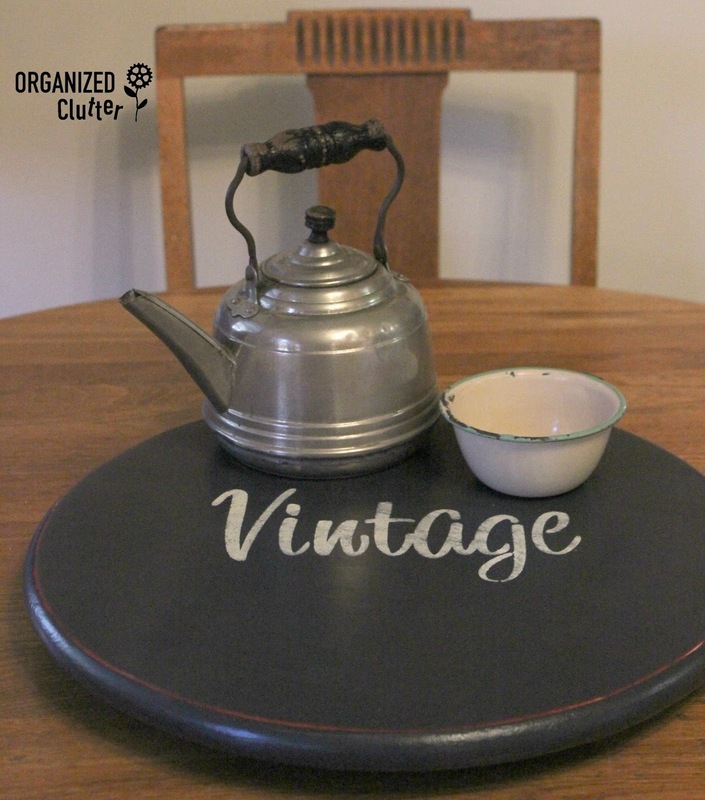 I painted the piece with Annie Sloan Chalk Paint in "Graphite", and stenciled "Vintage" on the center with ivory acrylic craft paint. I used a coat of water based poly to protect the finish. This rattan tray was my third upcycle project. I painted the tray with Fusion Mineral Paint in Algonquin, and stenciled the Coffee Stencil on the tray with a 5/8" stencil brush and ivory acrylic craft paint. I top coated the tray with Tough Coat from Fusion Mineral Paint. My last project started with a grater and a 5 1/2" x 12" pine board. The board was base coated with black paint and top coated with ASCP in Old White. I stenciled on the arrow and Country with stencils I had on hand. I glue buttons onto magnets to hold a vintage photo and added a sawtooth hanger to the back. and the "Country" was on this stencil from Plaid. 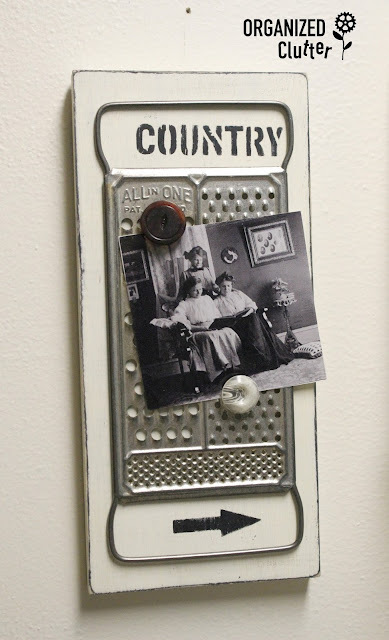 Four easy upcycles everyone can do! I love all of these! I remember having one of those rattan trays. Your projects really inspire me to try stenciliing something. Thanks for sharing!